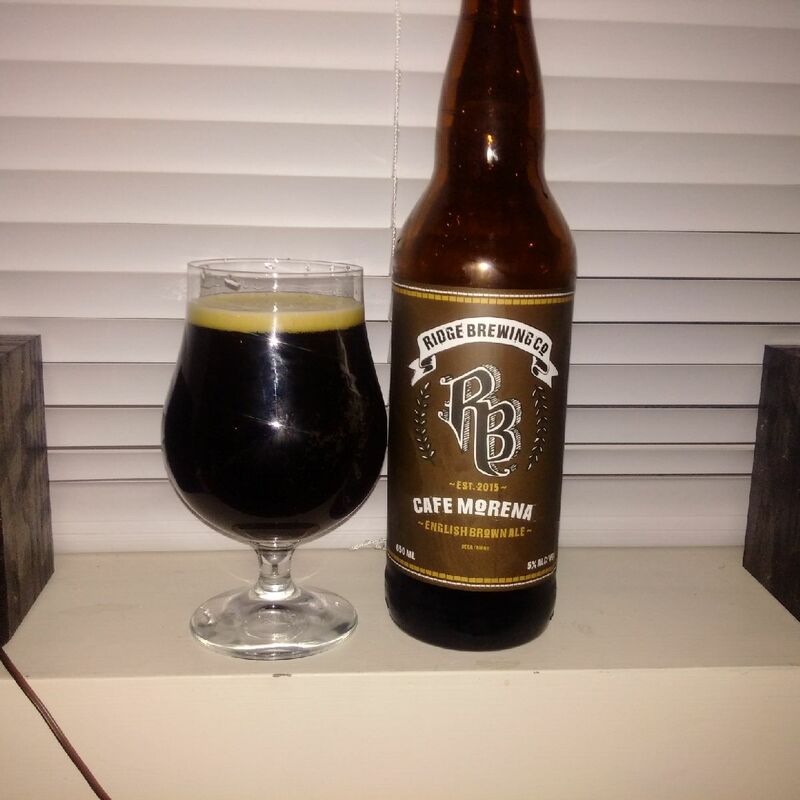 From Ridge Brewing Company out of Maple Ridge comes their “Cafe Morena English Brown Ale”. The beer pours a deep brown colour with a tan head. The aroma consists of coffee, roasted malts, creamy with sweet notes. The flavour is of coffee, roasted malts, hint of chocolate, earth, maybe some nuts with a creamy sweet finish. The alcohol content comes in at 5% with an IBU of 27. I found his beer to be quite refreshing and tasty. This entry was posted in Brown Ale and tagged bc, cafe morena, cafe morena english brown ale, canada, chocolate, coffee, craft beer, creamy, earth, earthy, english brown ale, maple ridge, Ridge Brewing, roasted malt, roasted malts, semi sweet.